My mom called me up and asked me if I could make and Urn for Grandma. I was flattered when she asked; however, I asked why didn’t she just buy one ( I was hoping she would tell me that my Grandma said she would be honored to be buried in an Urn built by her grandson!) My mother replied she was too cheap to buy one. These are made from oak using raised panel bits. They finished with a golden oak stain and many coats of polyurethane on the exterior. The inside is painted with a glossy white enamel paint. 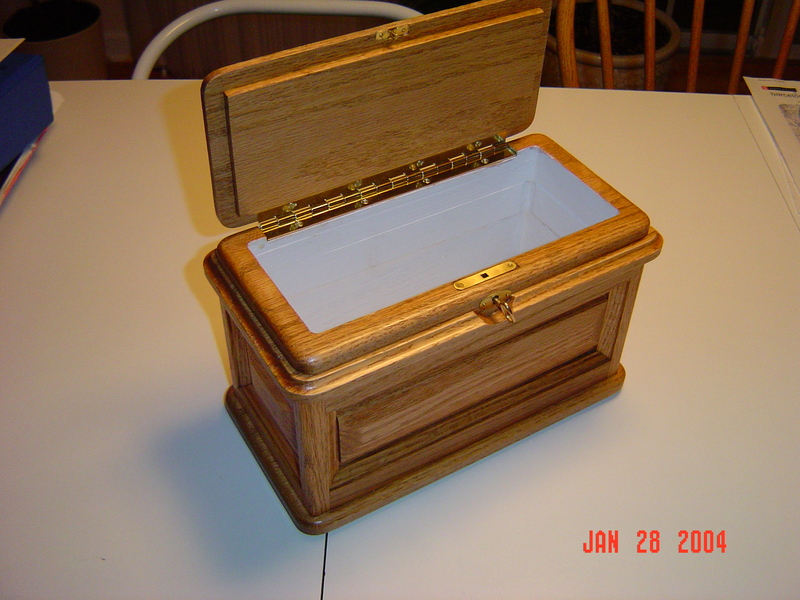 The hinges are brass and I include a keyed lock to make sure the Urn stays closed. My Grandma is 94 years old and still going strong. Her mind is slipping but I expect she will live for a very long time before she ends up in the Urn. My father pasted away shortly after I built these Urn’s. His ashes were intended to be dumped into the Mississippi river, however, my brother never got around to that. Now my father resides in the other Urn and sits on top of my brother’s fire-place. 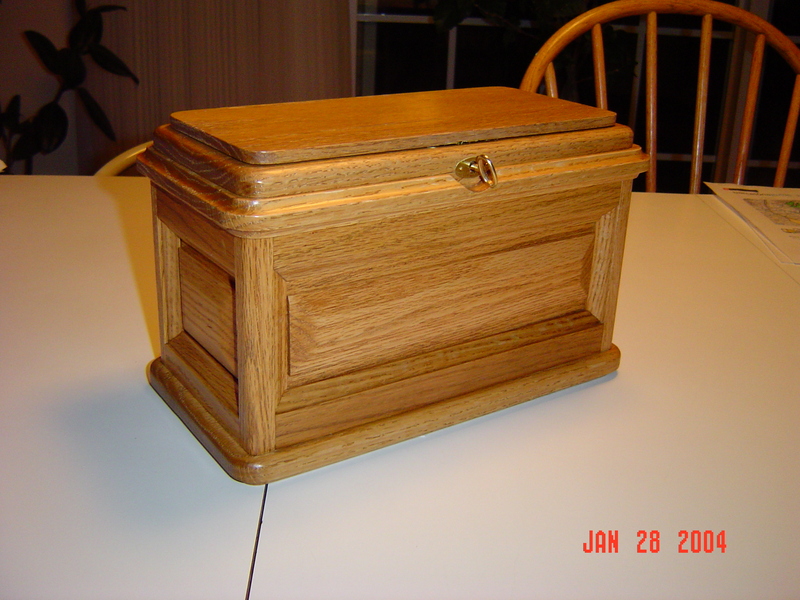 You can buy Urns on the internet for under $200. I am sure time and material for this project greatly exceed these prices! Grandma died on Christmas day 2011. She finally ended up in the urn. Rest in peace.